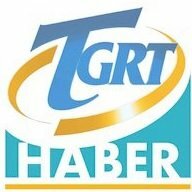 News TV Channel / TGRT Haber is a Turkish news station based in Istanbul. He belongs to the İhlas Media Group , which is part of İhlas Holding. The station was established in 2004 as the news carrier of the channel TGRT (Türkiye Gazetesi Radyo Televizyonu, German: Radio and Television of the newspaper Türkiye). The transmitter is considered to be the ruling party for justice and recovery (ACP) and state president Recep Tayyip Erdoğan. There are many overlaps to the İhlas Haber news agency as well as the daily newspaper Türkiye, which is contained in the name of the station. The most famous face of the channel is the journalist Fuat Kozluklu, who presents the main news broadcast and moderates a political talkshow.